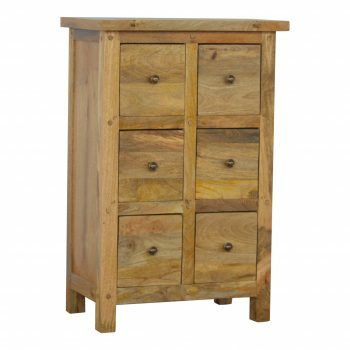 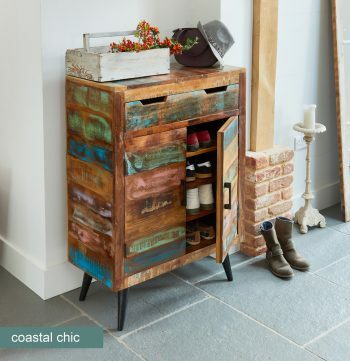 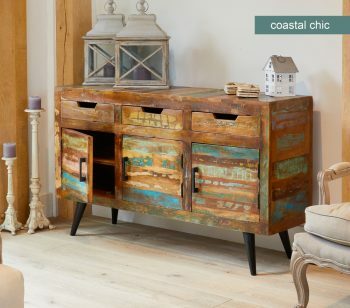 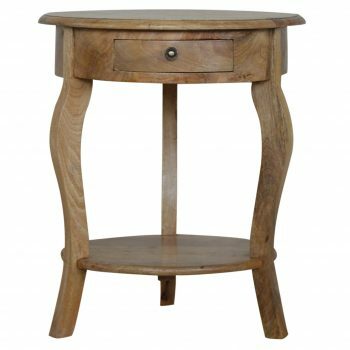 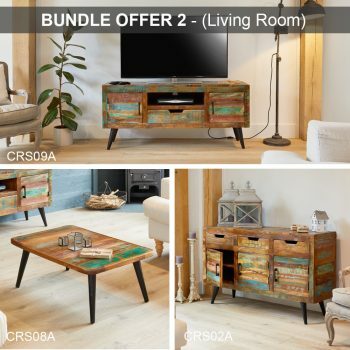 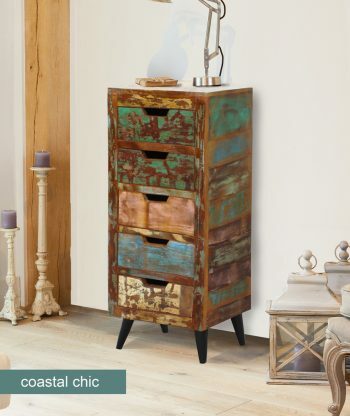 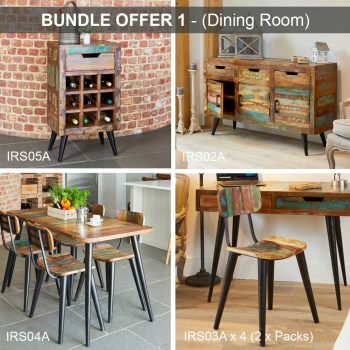 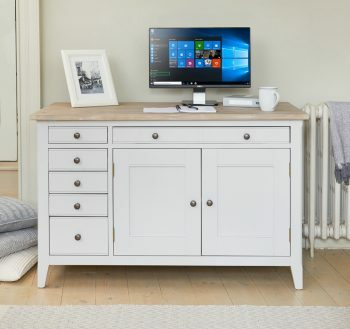 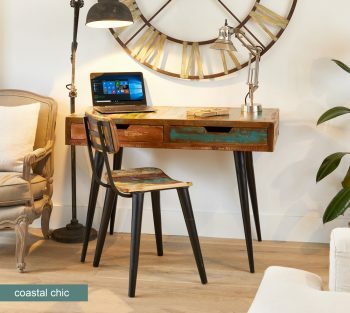 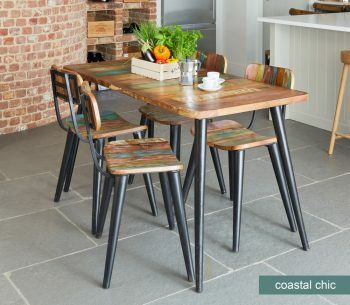 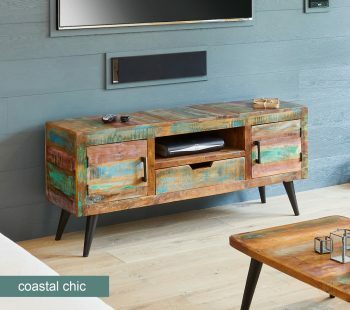 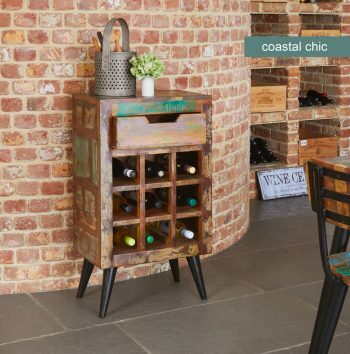 The Baumhaus Coastal Chic range of furniture is made using reclaimed wood salvaged from Gujarat, Maharashtra and Rajasthan in India. 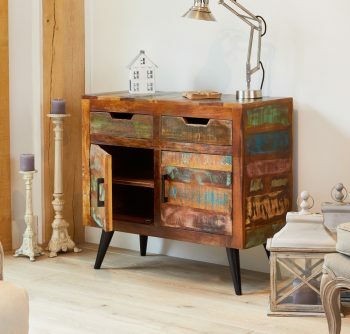 The wood used can range between 50 and 150 years old and is assembled by skilled craftsmen who create this colourful and interesting furniture. 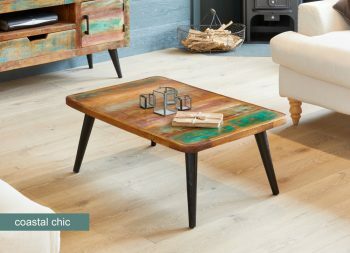 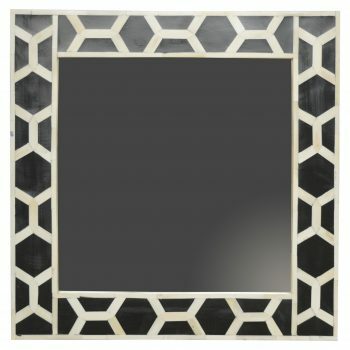 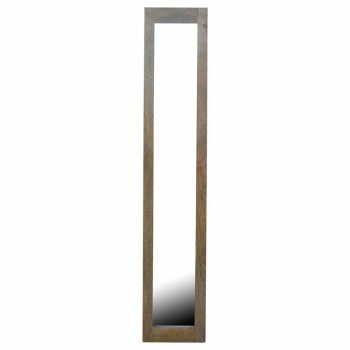 As each piece in the range is handmade using a unique blend of timbers, every item is truly individual.